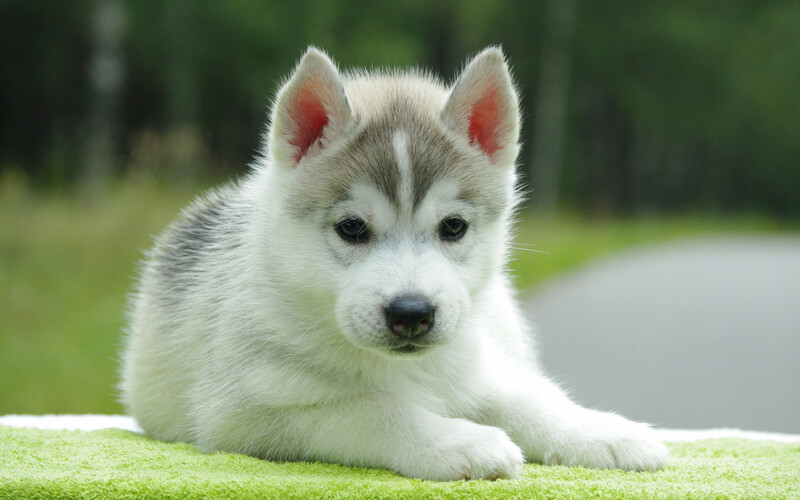 Alaskan Malamute is one of the oldest breeds. Thousands of years ago, native people in the land between Alaska and Siberia. From the beginning, this breed is used as working dogs. Alaskan Malamute was a perfect dog for seal or bear hunting, and sledding supplies back home. 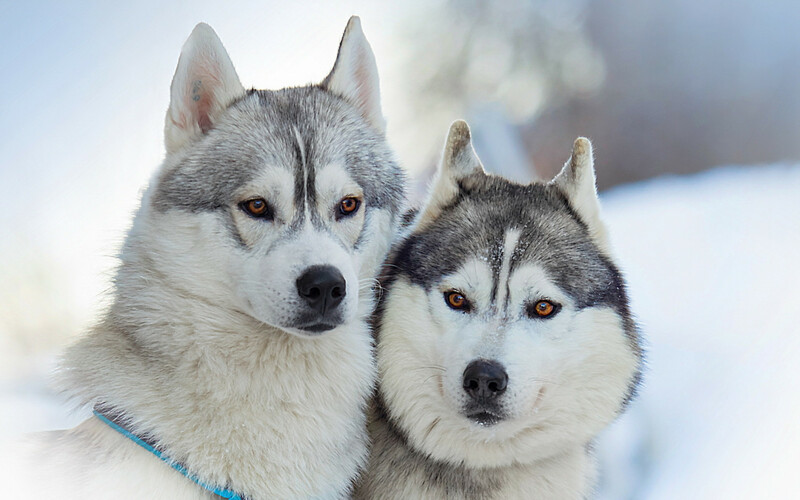 During the gold rush, this breed became even more popular, and that popularity only grew over the years. They have been popular even during the war years. Army used them as sled dogs in the war. Average weight of Alaskan Malamute variates from dog to dog, but male weights 37-39kg, while female weight is 32-34kg. An average height of the male is 62-64cm, while females are slightly smaller with a height of 56-58cm. A lifespan of this breed is 12-15, but if your dog is healthy with the balanced diet they tend to live much longer. 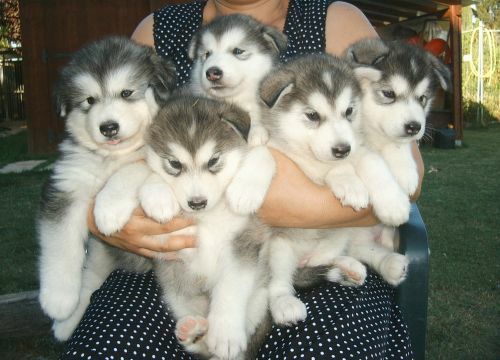 Litter Size of Alaskan Malamute is 4-8 puppies, but this depends on every dog. 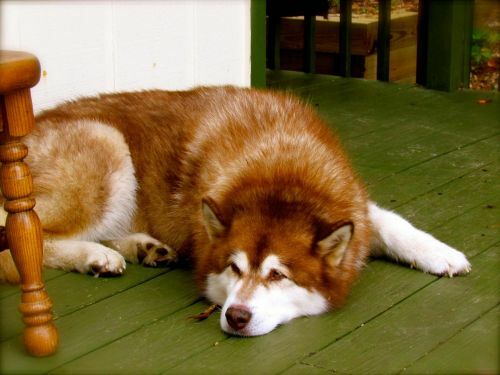 Usually Alaskan Malamute is a very healthy breed. They do not have any major issues but like every other breed, they can develop some illness. Cataracta, Chondrodysplasia, and hip dysplasia are the most common health issues, but you shouldn’t be worried because they are not happening all the time. You must talk with people who are giving you the puppy to examine the genetics. With healthy breed, and regular vet checks you will have a happy and a healthy dog for a long time. Feeding of your Alaskan Malamute depends on various things. Metabolism, size of the dog, age, quality of the food, build and activity. So you have to understand your dog's needs. Overall, 4-5 cups of high-quality dry food would be enough. Of course, you can give your dog some fruit or vegetables too, as a treat. If your dog likes to spend most of the day on the couch, you don’t have to feed it as much as people who have more active dogs. Developing puppies need more food than an adult dog. They should eat 3-5 times per day, of high-quality puppy food. Puppy food contains more nutrient that will help to develop your dog into a healthy adult. Grooming Alaskan Malamute may be little challenging. They have a lot of hair, so regular brushing is a must. 2-3 times a week at least. They shed a lot 2 times a year, and you will have to use vacuum-cleaner every day. Alaskan Malamutes are playful dogs that love running, playing and spending time outside with their family. They would greet anyone who comes to your house, no matter if they are first-time visitors. That makes them bad watchdogs. Since they are a pack breed, they love spending time with humans and they love being included in activities. Generally speaking, they are great with children. They have a lot of patience for the little ones in your family. If they are socialized properly, you will not have any problems with other animals. They love playing and spending time running around, so you will not have to worry. They might run towards cats, so you have to be careful. 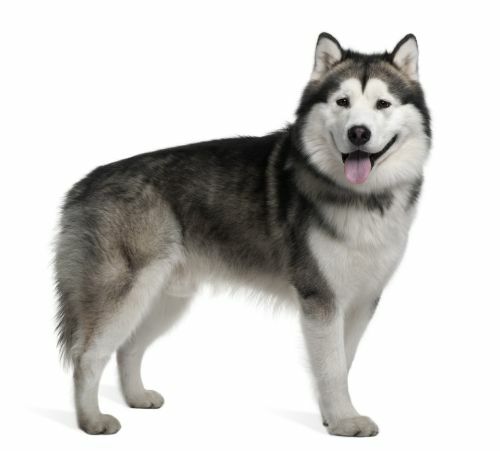 Alaskan Malamute is not very easy to train because they are very intelligent and stubborn breed. Not very recommendable for new owners. The best way to train your puppy is with patience, consistency and positive awarding. They do not like the old-fashioned way of punishment with beating included. Instead, rather try being positive and give your dog nice treat when the task is completed.